Simone Weimans will be the new TV news anchor in The Netherlands for the NOS morning and day shows. Starting June 15th she will also be a news editor, the NOS (the Dutch BBC) announced today. The 39-year old Weimans, who was born in The Netherlands to Surinamese parents, presented the current affairs radio program Dichtbij Nederland of the NPS and several other programs. Weimans started as a radio journalist for the Radio Netherlands Worldwide during her study Communication Science. After graduating in 1998 she worked for the Dutch public broadcasting company VARA and for several programs on public Radio 1, 2 and 5. 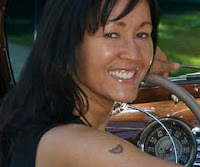 Currently she is involved in the radio program De Gids.FM on Radio 1 and De heer Ontwaakt (The Lord Awakens) on Radio 2. 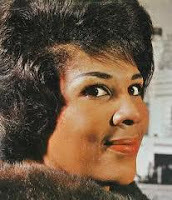 Wijmans is the third black news anchor for the NOS since 1965. 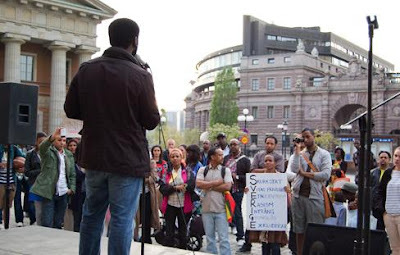 Black people in Sweden (‘Afro-Swedes’) demonstrated in the main capital Stockholm to support a bill to recognize Sweden’s role in the transatlantic slave trade. The demonstration was held on May 12th 2011. But Sweden, slave trade and the Caribbean doesn't sound natural when you think of Sweden. But long after most colonial powers abolished slavery, Sweden was still trafficking slaves. In 1847 Sweden proclaimed slavery illegal. Only then were the last slaves in the Swedish slave plantation island St Barthélemey in the West Indies set free. The demonstration in Stockholm was not only about slavery, but also against racism in general. Urbanlife.se was at the demonstration and made the following impression. "A lot has happened in Sweden recently to believe that change is on the way. Although the change I describe is perhaps not in line with Rosa Parks refusing to sit at the back of the bus on December 1, 1955 in Montgomery, Alabama, it is however, the first time in Sweden's history where ‘Afro-Swedes’ – a term people of African and Caribbean descent fight to be addressed as - have joined together in protest. The demonstration in Stockholm held on May 12th draws attention to the bill initiated by Gustav Fridolin (Miljöpartiet) regarding the transatlantic slave trade that Sweden was a part of, but which has not yet been recognized by the Swedish government. This is something that Gustav now wants to change and therefore has written this bill. There was a chorus of dissatisfaction amongst the crowd with the announcement that the bill had been dismissed earlier that afternoon. " 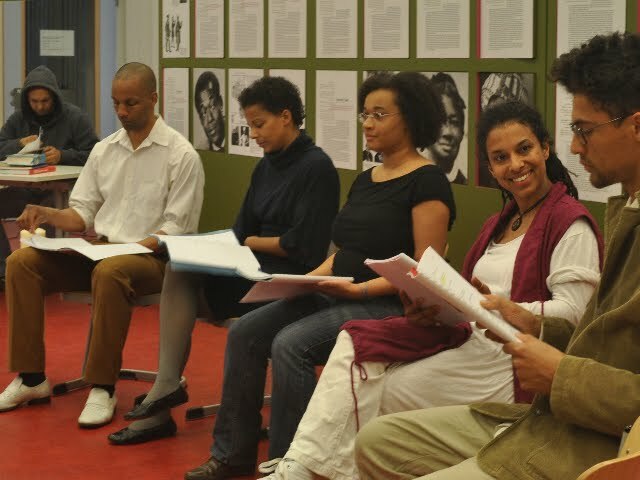 The first africologne-FESTIVAL of the modern (west-)African theatre takes place June 22.-28., 2011 in Cologne (Germany) in the Theater im Bauturm as well as the „Rautenstrauch-Joest-Museum – The House of World Cultures“. The Festival will present in thirteen shows (including one for Schools) seven theatre productions: two European premiers, four plays never performed in a German speaking country before and one Cologne-Premier! For years, Dutch author Griselda Molemans wondered about the dark skin colour of her grandfather from the Dutch Indies (present-day Indonesia), but failed to explain the origin. One day, an elderly Indo-African couple from the garrison town of Purworejo in Java, gives her a clue about her family name. What follows next is a suprising quest, leading from the National Archives in Holland to Burkina Faso, Ghana and Java and resulting in the discovery of the African founding father of the Molemans family. Griselda Molemans is a Los Angeles-based international Dutch reporter and former sports news anchorwoman on the Dutch television. Molemans was born in the Netherlands to an Indo-Molukken mother and a Creole Surinamese-Dutch father. About her journey she wrote the book 'In the tracks of The Panther' (Dutch title: 'In het voetspoor van De Panter'). The story of the 'belanda hitam' soldiers, young African men who were bought on slave markets in Kumasi (in present-day Ghana) by the Dutch army between 1831 and 1872 and who served in the Dutch colonial Army in the Dutch Indies. She is also the author of 'Black skin, Orange heart' (in Dutch: 'Zwarte huid, Oranje hart. Afrikaanse KNIL-nazaten in de diaspora'). A book with interviews, and photo sessions with the oldest descendants of African soldiers ('black Dutchmen') who served in the Dutch Indies (present-day Indonesia). The life stories of these African soldiers and their descendants in The Netherlands, the US, Surinam, Ghana and Indonesia have been documented as part of Dutch colonial history. For a translation in English click the "CC" button on the right. On his blog he writes about himself. "Gracias (Deogracias Masomi May 6th 1987) hailing from The Democratic Republic Of Congo, (formerly Zaire (the place where Muhammad Ali knocked Foreman out.)) 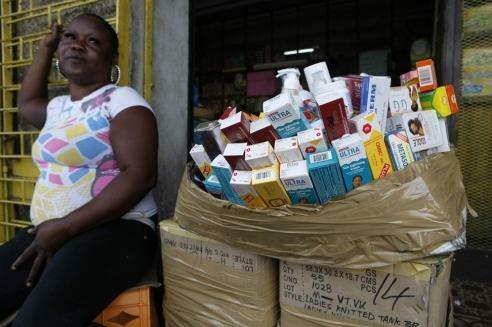 Kinshasa. At the age of four, around 1992 D.Masomi moved up north to Helsinki, Finland alongside his mother to join his father and spark up hope for a better life. At the time DRC was getting torned down by the civil war and riots. In other words Gracias and his family became refugees." Black British actor, playwright and director Kwame Kwei Armah is featured by the British Foreign Office to mark two years to go until London 2012. In a film Kwame Kwei-Armah discusses why he believes the UK is now the centre of the Black diaspora world and how it’s a country of diverse cultures. The film is one of the ‘See Britain through my eyes,’ series featuring individuals from home and abroad talking about their experiences of modern Britain in the run up to the London 2012 Olympic and Paralympic Games. Watch the film below. In the film Kwame talks about a television series he presented for Channel 4 in 2009, where he re-created the Queen’s 1953/54 tour of the Commonwealth. Kwame discovered that many people across the Commonwealth still thought that the makeup of British society was much like it was in the 1950s as opposed to the diverse, modern nation it is today. Kwame was glad he was chosen to front the programme as he was able to personally vouch for the UK’s multiculturalism. Kwame also discusses how proud he is of the progress Britain has made in reducing inequality in society. He thinks Britain today is a tolerant country, comfortable in its own skin, where tradition and modernity can co-exist. Kwame Kwei-Armah is a celebrated actor, playwright and director both in the UK and overseas. He recently served as Artistic Director of the World festival of black arts and culture in Senegal and has just been appointed Artistic Director of Centerstage Theatre in Baltimore, Maryland. He was born in London as Ian Roberts. He changed his name in his early twenties after tracing his family history (through the slave trade) to his ancestral roots in Ghana. His parents were born in Grenada, then a British colony and moved to the UK in the 1960s. The film launch coincides with the thirtieth anniversary of the Tricycle Theatre in London where Kwame has staged many of his productions. The theatre has a strong reputation for hosting plays that reflect the cultural diversity of Britain and not afraid to tackle contemporary issues and events head on. Kwame Kwei-Armah is a celebrated British actor, playwright and director both in the UK and overseas. He recently served as Artistic Director of the World festival of black arts and culture in Senegal and has just been appointed Artistic Director of Centerstage Theatre in Baltimore, Maryland. A compelling story following seven young people on a journey of self discovery. 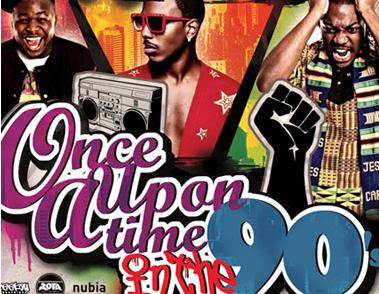 A musical theatre production set in the 90's exploring the social issues that have affected the world across the years; although many of these issues are still present in society they are often seen as taboo and not spoken about. Each of the characters is representative of a different era ranging from the 50's right up until the 90's. This piece makes political and social comment presenting comedic humour, song and dance and will be an entertaining experience to all spectators. Featuring special guest performer AKALA (UK recording artist). 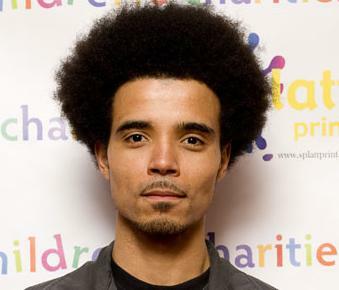 AKALA ,born Kingslee Daley (27), London, England is a UK rapper who enjoyed critical acclaim during the mid-00s with his progressive Hip-Hop. 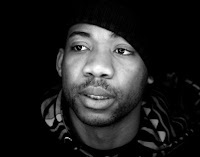 In 2006 he recieved the MOBO Awards for Best Hip-Hop Artist. Akala, who is a fan of Jay-Z, grew up in North London, and uses his own life experiences when he writes. “All of my music is life,” he said. “My music is very autobiographical.” Another of his favourite artists is the Red Hot Chilli Peppers. “I love them! They are unique and different, and I would love to work with them sometime. "Find no enemy" is the single from Akala’s third album “Doublethink” (2010). French singer Joko (born in Cameroon) released her debut album "Joko" on 6 May. 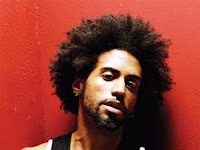 It's an album with a subtle mix of French music, urban groove, soul jazz and an Afro-Latin atmosphere. Joko isn't new to the scene, she already made her mark with her performance in the clip "Tous Unis pour l'équipe de France”, which celebrated the French national football team. "Jill Scott recently performed a selection of poetry before a special audience including President Barack Obama and First Lady Michelle Obama at a special event entitled A Celebration of American Poetry at the Whitehouse. This is a must watch! As well as being a three-time Grammy award winning musician, Jill Scott is also a writer whose collection of poems entitled ‘The Moments, The Minutes, The Hours’ became a New York Times best seller. Other artists who showcased the impact of poetry on American culture on the night included Elizabeth Alexander, Billy Collins, Common, Rita Dove, Kenneth Goldsmith, Alison Knowles, Aimee Mann, and Steve Martin and the Steep Canyon Rangers. Jill Scott embarks upon a new stage in her career with the June 27th release of her fourth studio album ‘The Light of the Sun’." The international fashion event "Labo Ethnik" will celebrate its fifth edition during 3 days in June in the Espace des Blancs Manteaux in the Marais in Paris France. This event will bring together the cream of the young generation of black fashion designers from Africa, the Caribbean and France, but also designers from Korea, China and other backgrounds. It could be called the "World Fashion in Paris." Since its first edition in 2007, the Labo Ethnik is a unique event of its kind: a real laboratory for trends in the world. This year some fifty international brands will again be present at the event with ready-to-wear fashion, accessories, shows, sales fairs and workshops to discover. 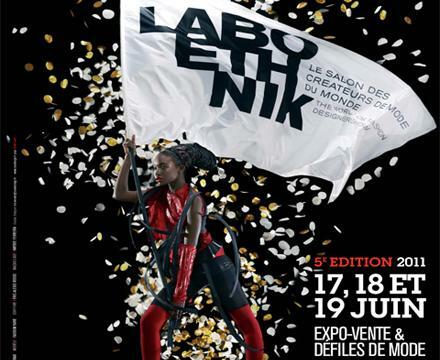 With more then 10,000 visitors each year since its inception, the Labo Ethnik is a revolution in the world of fashion. Yvette Tai, the organizer of the event: "We know Paris is a vital passage for any fashion designer. But these designers can not afford large lounges and expensive catwalks. So it is important to gather them on one platform, which is cheaper, and present them to the press and professionals. " Five promising and internationally recognized designers from the African continent, will show their collections in Paris for the first time. South African David Tlale will present some of his new collections in tribute to "Madiba Nelson Mandela. 92 models will symbolize each year of his life. The other top designers are Thula Sindi from South africa, Ituen Basi from Nigeria and Cairo-based Soucha from Tunesia And last but least Nigerian Deola Sagoe, who may count Oprah Winfrey and Will Smith as her fans. 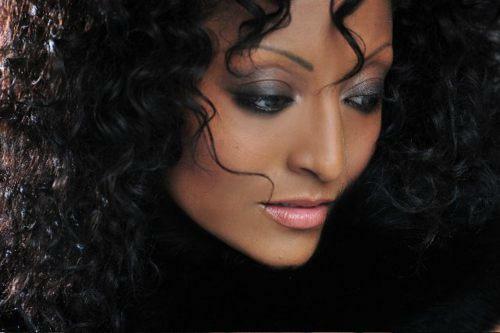 Moroccon-Dutch singer Teema sings in Arabic "Moshta Aleek" ("Autumn Leaves") in Bozanova style accompanied by Surinamese-Dutch gitarist Orville Breeveld. It's a guest performance on the talk show of Anouscha Nzume en Clark Accord on the Amsterdam TV station AT5. 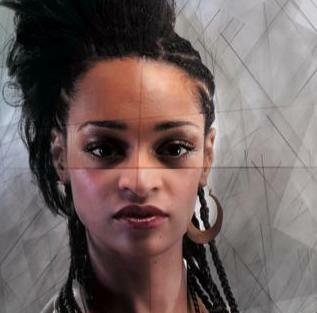 Teema is an Amsterdam based singer with Moroccan roots. 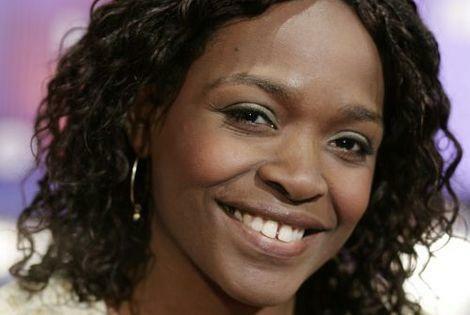 She was a student at The Music School of Amsterdam, one of the vocalists of the Gospel World Choir and a member of the R’n B group “Damez”. The group recorded several tracks and performed at festivals in Europe and in Canada. During the last couple of years she focuses more on her Arabic musical roots. Clark Accord is a Dutch-Surinamese writer who died last Wednesday at the age of 50. Via RNW: Surinamese-Dutch writer Clark Accord passed away in an Amsterdam hospital on Wednesday evening 11 May after losing his fight against cancer. He was 50 years old. Clark Accord lived in Amsterdam, but his work always contained the tropical flavour of the Caribbean. Born in Paramaribo in 1961, he moved to the Netherlands when he was 17 years old. After finishing high school in Amsterdam, he first trained and worked as a nurse. He went back to school to follow a new career as make-up artist, which led to successful work in Vienna, Zurich and Vancouver - as well as stints in fashion centres such as Milan, New York, London and Paris. Mr Accord said he began writing because he couldn't find the kind of books he himself liked to read. For his first novel, he decided to research a legendary figure in Surinam's 20th century history: Wilhemina Angelica Adriana Merian Rijburg (1902-1981). Better known as Maxi Linder, she was the country's most famous prostitute. Approaching the story like a journalist, Clark Accord interviewed her friends and associates to discover the truth behind the gossip and myths surrounding the glamorous woman. "In Maxi Linder we find good and evil," said Mr Accord, "and that is the story I wanted to write." "Betsy had almost reached the entrance when Maxi Linder, accompanied by two naval officers, cut in front of her. Maxi spit demonstratively on the sand and rolled her eyes in Betsy's direction. She was covered from head to toe in gold jewellery. Too bad it clashed with the tacky dress she had on. What's more, her hair had been swept up in a ridiculous roll on top of her head, and she wasn't wearing a bit of make-up. Since Maxi Linder and her party were blocking the doorway, Betsy had no choice but to wait. With Maxi on the scene, the public had lost all interest in Betsy." 'De koningin van Paramaribo' (The Queen of Paramaribo) became a best seller in The Netherlands with some 100,000 copies in print. The book has been translated into several languages and a movie version is planned. Clark Accord also was a columnist for the Dutch newspaper Het Parool. In his columns he wrote about social issues, politics and about the black community. And together with Anousha Nzume he presented the talkshow "LET'S TALK BLACK!" where he talked about black issues. An interview with artistic director Anousha Nzume about the musical theatre version of the book and two performances. There is so much more to say about him. I am going to miss him. Rest in peace Clark and thanks for everything. African Americans are underrepresented in study abroad opportunities, according to the Institute of International Education. But things are changing. “I was one of eight young professionals chosen to participate in a six-month media fellowship for recent college graduates,” Smith writes. “ Résumés were compared, quiet rivalries established and pedigrees picked over. What scored highest with this crowd was an impressive answer to the question, "So, which countries have you traveled to?" Some had spent semesters studying in Spain or a year teaching in Malaysia, along with the requisite post-graduation excursions through Europe and reporting trips to sub-Saharan Africa. As for me, well, I didn't even have a passport. The others lived in a global community -- one that I saw as gated and inaccessible. The problem of an un-globalized population has not gone unnoticed. 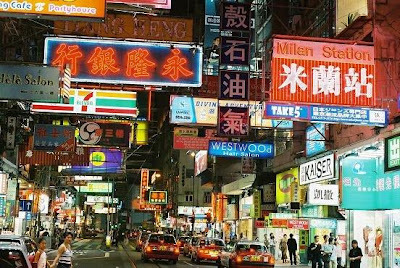 In 2009, President Obama began the "100,000 Strong Initiative," a $2.25 million program intended to encourage young Americans to travel to and study in China. This past February, first lady Michelle Obama spoke to students at Howard University about the initiative and the importance of having an international perspective in a world that is becoming increasingly less U.S.-centric. "Black people look at themselves from the perspective of white people," says writer Grada Kilomba. "They don't look at themselves from their own perspective." 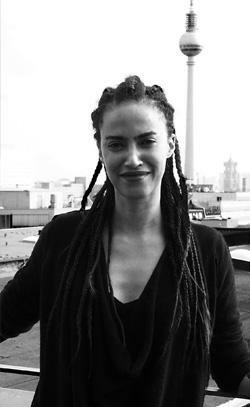 Kilomba, the author of “Plantation Memories – Episodes of Every Day Racism", has origins in the West African Islands São Tomé e Príncipe and was born in Lisbon where she studied clinical psychology and psychoanalysis at ISPA. In a very interesting video she describes the nature of racism in Europe, how white Europeans can repair their relationships to minorities, and minorities can heal themselves. In an interview which was republished in Africanvenir Kilomba answers the question: what exactly does it mean to be white? "White is not a colour. White is a political definition, which represents historical, political and social privileges of a certain group that has access to dominant structures and institutions of society. Whiteness represents the reality and history of a certain group. When we talk about what it means to be white, then we talk about politics and certainly not about biology. Just like the term black is a political identity, which refers to a historicity, political and social realities and not to biology. As we know there are black people who are very light-skinned, others who are dark-skinned, others who have blue eyes. It is the political history and reality that constructs these terms." 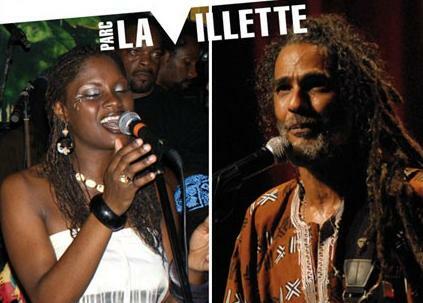 A cultural festival with music from Guadeloupe, Martinique and France. With Akiyo a cultural music group from Guadeloupe, Kali a reggae group from Martinique, and Dédé Saint-Prix a Creole group from France who plays the music of Creole European dances of the eighteenth century. 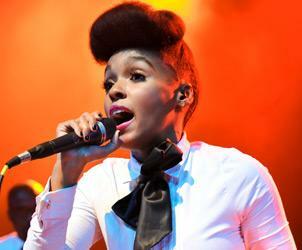 US R&B singer Janelle monae will perform at the North Sea Jazz Festival in the Netherlands, on Friday 8 July 2011. Welcome to the year 2719. Cindi Mayweather realises that she is the ArchAndroid who must save the city of Metropolis from a mysterious power that is trying to suppress love and freedom. Welcome to the world of songwriter and singer Janelle Monáe. She tells her epic tale in symphonic, funky numbers. On her album The ArchAndroid (2010) she is assisted in her task by Sean 'Diddy' Combs and Big Boi from Outkast, among others. A news report that top French soccer officials were considering racial quotas to limit the number of black and Arab players in national training programs has set off a furor in France. Officials have denied the report by investigative news site Mediapart, which quoted what it said were minutes from a Nov. 8 meeting that discussed setting a limit of 30 percent on nonwhite players. The technical director of the French Football Federation has been suspended by the sports ministry pending an investigation. The national team coach, Laurent Blanc, who played on France's 1998 World Cup champions, has denied that quotas were being considered. 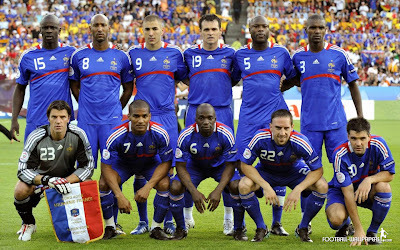 That team was called "black, beurre, blanc" for its successful racial mix of black, Arab and white players -- and led to some criticism from right-winger Jean-Marie Le Pen that it did not represent France. The racial issue surfaced again last year when France crashed out of the World Cup tournament in South Africa after a training field strike. Black players and a white convert to Islam were blamed as the ringleaders and suspended from the national team. They were heavily criticized as unpatriotic and ungrateful. The Showcase is an online short film competition where viewers vote for their favorite films and the winning filmmakers receive cash prizes. Each of the 5 (1 every 2 months) qualifying round winner receives $1,000; final round grand prize winner receives an additional $4,000. Winners will be determined by the number of votes they receive in each round. Among non-winning entries, one film will be announced as the popular winner at the end of the season based on cumulative votes received and awarded $1,000. Crucial submission criteria: films had to feature a protagonist of African descent and themes reflective of the African Diaspora experience. Check out the 1st film on the list (in alphabetical order). 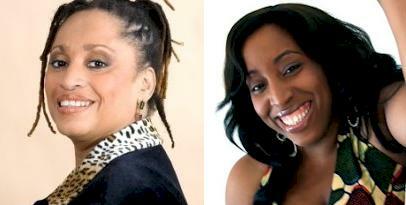 TableTalk: Afro-Europe or “No, where do you really come from?” A conversation with Trina Roach (left on the photo) and her guest Lillian Ogbogoh (right) on blogtalk radio. They discuss issues of national and cultural identity, and compare and contrast how those issues are viewed differently from country to country. Is there one black (European) way to act? Trina Roach is an African American living in Germany and Lillian Ogbogoh is a British Born Nigerian (as she calls herself) who lives in London and has lived in the US. • How do you self-identify? 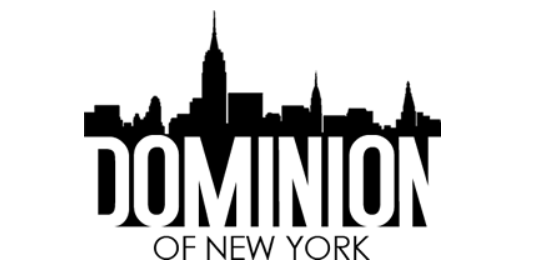 • How do you experience “community” amongst other people of African descent where you live? • How is that sense of “community” expressed in different places in the Diaspora? • How does the question of “critical mass” influence the lives of people of African descent where you live? • What role does day-to-day racism play in your life? • How well-represented are people of African descent in public life? • What importance was placed on knowledge of Black/African History during your upbringing? • What can we do to empower children of African descent living in Europe?